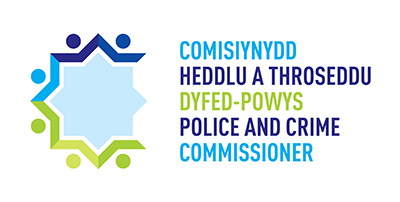 The Dyfed Powys Police and Crime Commissioner is preparing a Needs Assessment to help guide what services should be delivered across Dyfed Powys in the future . To help, we are working with an independent adviser, George Selvanera, to consult and research the needs of our local communities. George wants to hear from people who have been affected by crime and who have used the services that are funded by the Police and Crime Commissioner, to help support communities and keep our residents safe. This survey will take 5-10 minutes to complete and is 100% anonymous so please be 100% honest about your experience. The survey is open until 12 March 2019 and your responses will inform the Needs Assessment that will be prepared by the end of March 2019. If you have any questions contact George at dyfedpowysneedsassessment@gmail.com. * 1. Which area of Dyfed Powys do you live? * 4. Please tell me whether you feel each of the below areas is a major problem, a minor problem, or not a problem at all in your area? * 5. If there are any other major problems what are these? My home / business was burgled / broken into in the last 2 years. I had something stolen from me in the last 2 years. I have been targeted by online fraud/scam/identity theft in last 2 years. I have been targeted through social media/online by bullies and/or someone I do not know in the last 2 years. I have been insulted or harassed in public in the last 2 years. I have been physically assaulted in public in the last 2 years. I have been in a relationship or a household where there is domestic abuse (which includes emotional, physical and sexual abuse, being controlled and restricted, being forced to do things etc.) in last 2 years. I or someone in my household has had mental health problems in the last 2 years. I or someone in my household has had problems with alcohol in the last 2 years. I or someone in my household has had problems with prescription medicines in the last 2 years. I or someone in my household has had problems with non-prescription drugs in the last 2 years. * 7. If you have used any of the following services, how would you rate your overall experience of using the service? * 8. What are the main reasons for your scores at question 7? * 9. What would have led to a better score for the service/s you have used? * 10. What is important for you in how these types of services work? The service can be accessed in different ways e.g. phone, in person, through sms/face-time etc. What else is very important for you? DONE. THANK YOU VERY MUCH FOR YOUR HELP.